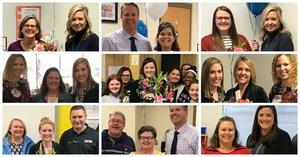 J.J. Jones Intermediate School named third grade teacher Sara Key as Teacher of the Year, while teaching assistant Jessie Jessup was named Classified Staff of the Year. “Jessie Jessup works hard to meet the specific needs of the student she serves. Her attitude is positive and her outlook is always bright. She is a team player and she invests in the lives of our students,” said Chelsy Payne, newly named Principal of Jones. 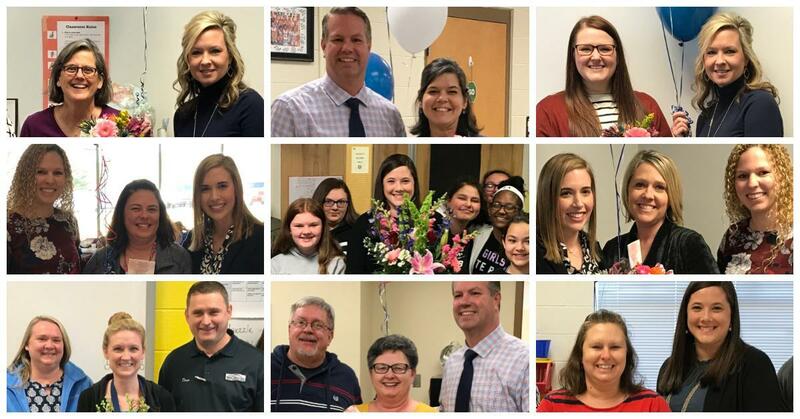 Mount Airy Middle School named 6th grade teacher Samantha Surratt and teaching assistant Laurie Chilton as Teacher of the Year and Classified Staff of the Year. “Mrs. Surratt is one of the most devoted and hard working teachers we know. She always prepares diligently for her students and gives 100% to every child, every day,” claimed her peers. Mount Airy High School named teacher Abby Gallimore and data manager Debbie Hiatt as Teacher of the Year and Classified Staff of the Year.